Maui’s foreclosure rate surpassed the national level in September and activity on Maui and Kauai overtook the nation during the third quarter, according to data released today from RealtyTrac. Last month, RealtyTrac ranked Hawaii 15th among states for foreclosure activity. Across the state, 969 properties — the second-highest number of the year — received foreclosure notices. The number of foreclosures rose nearly 12 percent from the previous month and 63.1 percent from the same month last year. For those that thought Hawaii had skipped the ramp-up of foreclosures that has plagued the U.S. mainland for a couple of years, the latest statistics tell another story, said Daren Blomquist, communications manager for RealtyTrac, a foreclosure marketplace. On a whole, Hawaii’s September foreclosure rate, one per every 523 households, was better than the national foreclosure rate of one in every 372 households, Blomquist said. However, Maui’s foreclosure rate rose to one per every 255 households, he said. On a quarterly basis, Hawaii’s foreclosure rate was one in every 185 households, which compared favorably to a national rate of one per every 136 households, Blomquist said. Nonetheless, foreclosure rates on Maui, which rose to one per every 111 households, and on Kauai, which rose to one in every 85 households, raised alarm, he said. One of the reasons for the gain could be Hawaii’s high percentage of second-home, resort and investment activity, Blomquist said. As many as 46 percent of all Hawaii foreclosures through April, the most recent measure, were at non-owner-occupied properties, he said. “That’s higher than the national average,” he said, adding that 30 percent of foreclosures nationwide through April involved non-owner-occupied properties. Investor activity was plentiful when Maui’s median price shot above $700,000 during Hawaii’s last housing boom, said Keone Ball, principal broker at Carol Ball & Associates in Kahului, which RealtyTrac ranked No. 8 among Hawaii ZIP codes for the most foreclosure activity in September. Kihei, Lahaina and Wailuku were also in RealtyTrac’s top 10 list of high-foreclosure ZIP codes. “Since Maui’s median price led at the peak, it only makes sense that it would be highest among foreclosure rates as loans come due and people continue to lose jobs,” Ball said, adding that investor activity has fallen by more than 30 percent since the boom. Still, RealtyTrac data show that growing foreclosures are not just contained to Maui or Kauai. 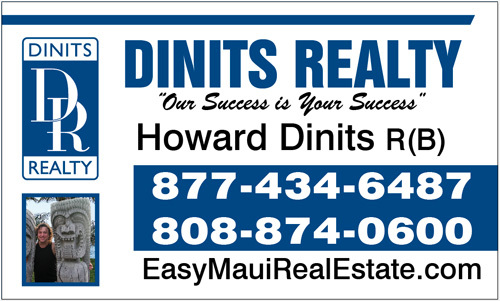 Blomquist and other real estate watchers say Hawaii foreclosures will continue to increase as home equity falls, unemployment rises, loans are reset, and lenders fail to promptly approve short sales and modifications. “There are so many things pointing to continued high levels of foreclosures,” Blomquist said. The rise in foreclosures is lowering Hawaii’s real estate values, prompting more problems, said John Riggins, owner of John Riggins Real Estate in Kapolei, a region that ranked No. 5 on RealtyTrac’s September list of high foreclosure ZIP codes. John Riggins Real Estate is a business that deals in distressed properties. One of Riggins’ clients, a military couple, has had to put their home on the market as a short sale so that they are eligible to relocate. Hawaii’s September foreclosure rate, one per every 523 households, was better than the national foreclosure rate of one in every 372 households, Blomquist said. However, Maui’s foreclosure rate rose to one per every 255 households, he said.